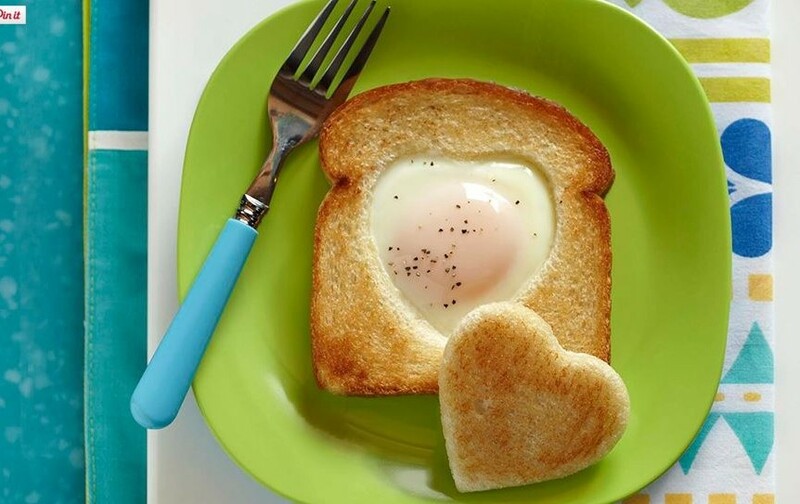 Let kids pick their favorite shape for the classic egg-in-a-hole, commonly known as toad-in-the-hole. This recipe is fast enough for the morning routine and gets kids cooking! Cut out center of each bread slice, using a 2-1/2 to 3-inch heart, round or other shape cutter; reserve cut-outs. Coat large nonstick skillet lightly with oil. Toast bread slices and cut-outs on one side in skillet over medium-low heat until golden, about 5 minutes. Turn bread pieces over. Break and slip an egg into center of each bread slice. Cover pan and cook slowly until whites are completely set and yolks begin to thicken but are not hard, 5 to 6 minutes. Season eggs with salt and pepper and serve immediately with cut-outs.